The relationship between organisations and the communities in which they operate has been the focus of much attention over the past decades, both in real-life organisational contexts and in research. From an organisational point of view, a central concern in this development is the identification of stakeholders and stakeholder roles, which may pave the way for dedicated management and communication strategies to enhance and bolster relationships. This volume follows in the footsteps of the many researchers who have studied and explored the field; however, as opposed to much current literature, which often takes a primarily theoretical approach to the study of stakeholders and stakeholder management, the chapters in this book are first and foremost focused on the practical aspects of the field. 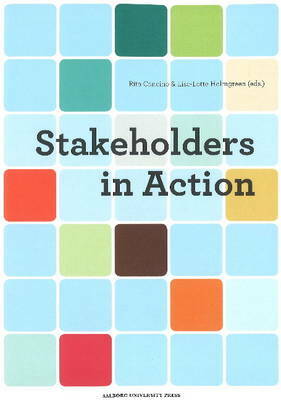 Thus, through seven separate case studies, the book discusses how stakeholders are constructed implicitly and explicitly in corporate and institutional texts, investigating the possible consequences of these constructions for the communication and engagement between stakeholders and organisations.